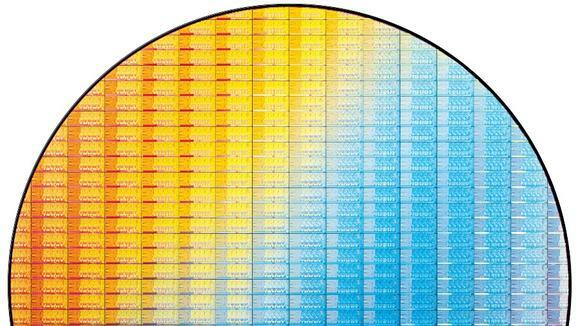 Intel's boffins have been busy: the chip goliath has released its latest quad-core processors, codenamed Ivy Bridge. The codename is much better than the real name, which is "3rd generation of Intel Core Microarchitecture". The tech behind Ivy Bridge is impressive — where Sandy Bridge processors used 32nm architecture, Ivy Bridge uses Intel's 22nm Tri-Gate technology — but is it a great leap forward? Jeremy Laird isn't convinced that it is. 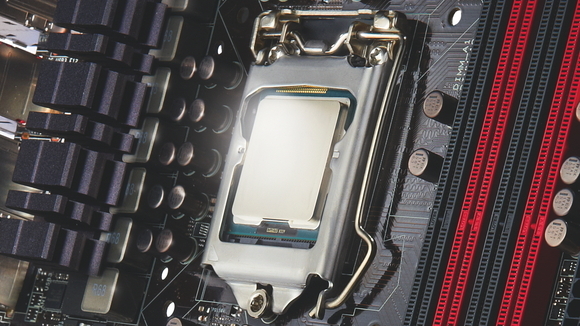 "As predicted, Ivy Bridge is a case of no more cores. Four is your lot," he says. That's not a big deal - "the future of PC processing probably doesn't involve an inexorable rise in the core count" - but Ivy Bridge is "not nearly as good as it could have been. Instead, it's been carefully positioned to be merely as good as it needs to be." As Laird explains in his in-depth analysis, "Ivy Bridge is not all new. On the CPU side, not a lot has changed". Ivy Bridge does get more graphics power, but that's about it. That "begs the question of whether Ivy Bridge deserves its status as the '3rd generation' of Intel's Core processors." Laird says: you won't be unhappy if your next PC has an Ivy Bridge in it, but the difference between it and Sandy Bridge isn't dramatic. What about AMD, Intel's arch-rival? Is there hope for tougher competition from AMD any time soon? "In a word," Laird says, "No." Intel's ambitions aren't just on the desktop. Its Medfield processors are designed to power smartphones and other mobile devices, and early benchmarks suggest that it's faster than the processors inside the iPhone 4S and Samsung Galaxy S II. However, by the time Medfield devices actually reach the shelves there will be newer, faster processors inside iPhones and other ARM-powered kit. It seems that everybody has an eye on the smartphone market: even Facebook, which according to rumours is working on a Facebook phone with HTC. As Kate Solomon points out, that means history is repeating: "Hello and welcome to 2010," she writes. That's when HTC's ChaCha was released with a big blue Facebook button on it. Google Phone? Isn't that the Nexus? Here's another blast from the past: a Google Phone from 2006. As Chris Smith reports, the device was a prototype for what became Android, "with Google proposing an open source operating system packed with Google apps like Maps, Gmail and Google Talk." What's particularly interesting about the prototype is that, one year before the iPhone was released, Google clearly didn't think touchscreens were the way forward: "The initial device looks a little bit like a strange BlackBerry Bold," Smith points out. One of Google's big mobile ideas is mobile payments, and O2 has joined the payment party with the launch of O2 Wallet. The service isn't just for O2 customers: it's available to all UK mobile phone users, or at least it is provided they aren't running Windows Phone: the app for that platform is still in development, along with apps for tablets (we're assuming iPads and Android). So how does it work? If you're on an iPhone, Android or BlackBerry device you'll be able to add your credit and debit card details to the service and "send" money to people; if the payment isn't received within five days it's automatically credited back to you. According to O2 Money MD James Le Brocq, "additional functionality will soon enable consumers to use O2 Wallet to top-up mobile airtime, buy train tickets and make mobile contactless payments via NFC technology." We've been promised mobile payments for years, so it'll be interesting to see if O2 can be the firm to make it work. There's just one problem in the move from real wallets to mobile ones: as Patrick Goss asks, "What will the comedy moths fly out of now?"